In this week’s episode we speak to Penny Rush, Manager of Diversity and Inclusion at PwC. Penny is a passionate advocate for gender equality, diversity and inclusion and flexibility in the workplace as methods to enable every person to actively engage in work, family, personal interests and the community. Penny and her husband have two children aged 12 and 11. We had a fantastic conversation with Penny talking not only about the proactive steps that PwC is taking to change the culture of its workforce, but also Penny’s own personal juggle. Flexible working is not just about achieving diversity goals. There are true business benefits such as more productive people and the ability to hold talented people. All the policies and procedures in the world aren’t enough to create a truly flexible workplace. The 3 focus areas to drive improvements: behaviours (e.g. leaders modelling appropriate behaviour by “leaving loudly”), targets and transparency, and leadership accountability and role models. Penny has a strong belief that people shouldn’t need a reason to work flexibly, rather managers need a reason to say no. People are whole people with lives beyond work, and they will be better employees if they have time to pursue their other interests and passions. Penny also discussed her own experiences of part-time work and juggling family. 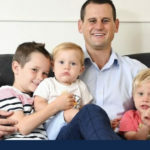 She shares the challenges of her personal situation with young children, no family support, two kids in quick succession, and a husband focused on starting a career as a barrister. Penny makes it clear that for her, the biggest positive improvement came when she returned to work and there was a need for her husband to step in and take a more active role in the home. This resulted in positive improvements in all of the family relationships and led to Penny understanding that the question isn’t just about women’s rights in the workforce, it is also about men’s rights in the home. Penny’s advice for other mums with young children who are wondering how to manage the career and family juggle is to build a network around you and not be afraid to live your values. Her advice for employers wanting to increase diversity is to consider whether the model of work and structures you have implemented in the workplace are going to support the diversity you desire. For example, look at the structures around women who have been identified as potential leaders, and compare that to the structures around men similarly identified. Often the structures are different – and much of it arises unconsciously. If you would like to connect with Penny and ask her more about the things discussed in the interview, you can get in touch via LinkedIn. 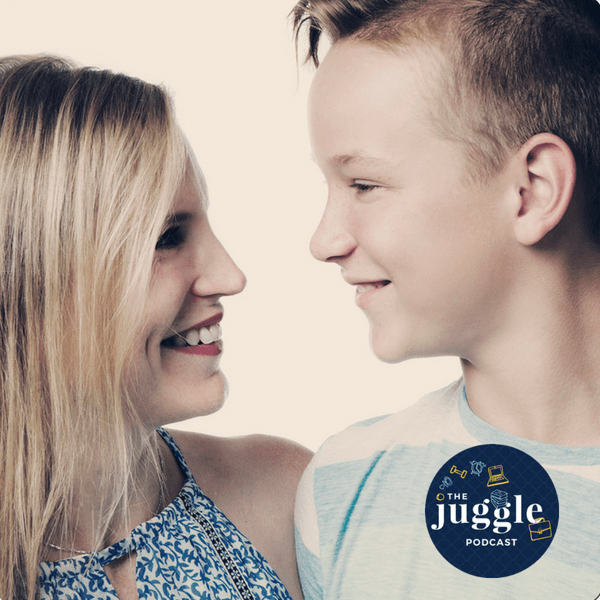 As always, we’d love it if you hit subscribe or leave us a review and, of course, come and join us online in The Juggle Community or on Facebook and Instagram.